For centuries, the marine industry has been used as a testing ground for the durability and effectiveness of rigging products used for industrial, medical, entertainment, and safety purposes. The inevitable turbulence of the open ocean, along with the unpredictable—and often intense—weather conditions that vessels encounter make marine environments an especially useful laboratory for the kinds of rigging products that are used across many unique industries. What this means, then, is that these marine rigging products are uniquely qualified to improve the stability, durability, and general safety of the next generation of technologies, including the outdoor tower systems that have become a staple in the telecommunications industry. Marine rigging products can be used to benefit both temporary and permanent outdoor tower systems, as their proven effectiveness at withstanding inclement and unpredictable weather give them the ability to further prioritize the safety and longevity of the installations while also protecting the people who work on them. When you use marine rigging products in your outdoor tower systems, you’re making an investment in the longevity of the tower systems that can save you money and time. 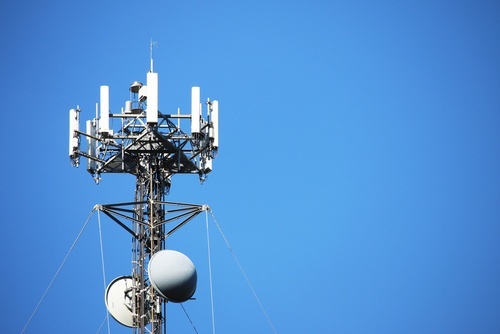 While mobile and temporary telecommunication tower systems alike aren’t necessarily meant to be permanent fixtures, their life cycles can, and often are, affected the more times they’re moved from site-to-site. This means that a tower system could require replacement or repairs sooner than necessary, which increases costs and slows down your ability to move the system from place-to-place. By making use of marine rigging products—such as industrial-grade blocks and pulleys, stainless steel pulleys, and synthetic industrial-grade ropes—you can reduce the level of friction your outdoor tower systems experience during their deployment, which will ultimately maintain their quality and extend their overall longevity. Here at Ronstan, we manufacture and distribute industrial-grade stainless steel hardware and rigging products that can provide your outdoor tower systems with the security and effectiveness they need to do their job as well as they can. With outdoor tower systems operating in the entertainment, scientific, and telecommunication industries, prioritizing adaptability and stability is more important than ever. It’s that kind of stability that Ronstan’s load-rated products can provide. With our rigging products, you can rest assured that your outdoor tower systems are able to withstand just about anything the world could throw at them. Whether it’s a wild storm or just repeated deployments in different areas, Ronstan’s marine rigging products will provide your tower systems with years of longevity in all conditions. To learn more about Rontan’s products and how they can be applied in the telecommunications industry, contact us today or browse our catalog.